If you or your loved one requires more complex or long-term care, short-term rehabilitation or hospice care, the skilled nursing staff at Thorne Crest’s Health Care Center is there to serve you 24-hours a day, seven days a week. 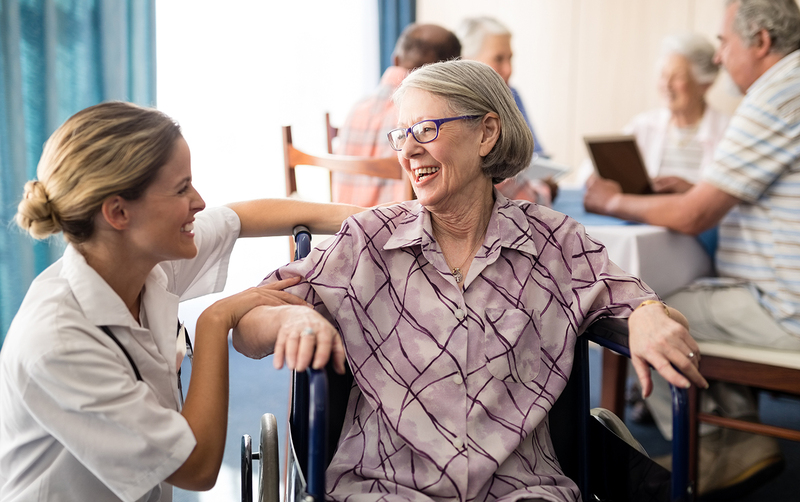 Whether arriving from the hospital, your home or recovering from an injury or an illness, you can be confident we’ll provide around-the-clock, professional, compassionate skilled nursing care you need. 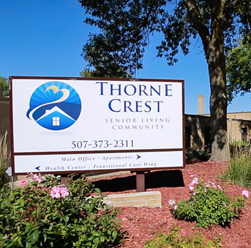 A benefit to the residents of Throne Crest is the continuum of care offered on campus. Because we provide multiple levels of care, couples whose health care needs differ are able to remain close to loved ones while they receive the specialized services they need. Residents in our health care center enjoy a variety of events and outings and are encouraged to participate in lifestyle activities designed specifically for them. And when the Minnesota weather turns warmer, our health center residents enjoy the outdoor courtyard where they can relax and simply enjoy the sights and sounds of summer with friends and family. Multiple lounge throughout the community provide a comfortable setting to spend some time visiting with friends and family, or just spending an afternoon watching a classic film on our widescreen TV’s. Our warm, spacious dining room provides the perfect setting for made-to-order breakfast (upon request), as well as a relaxing lunch and dinner. State of the art senior friendly computer system for entertainment, communication with loved ones, and many activities. We invite you to come for a guided tour of our innovative health care center. 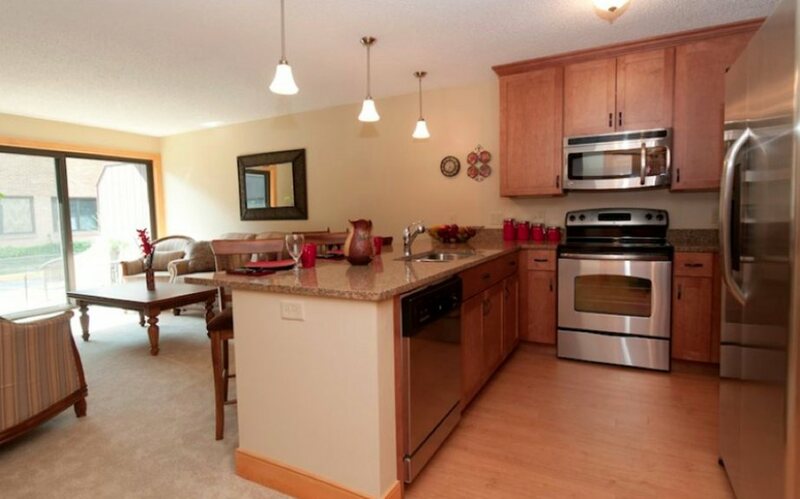 View a fly-thru video tour, click here to schedule a personal tour, or call 507-373-2311 to set up an appointment.